Behold an older vid of BBS, namely, the one that showcases the majority of scenes that was either removed or changed in the finished product. Look at scenes 2:05 to 2:11, the scene were Terra walks up to Maleficent. Notice it? Dat Xehanort-esque grin? And with that I ask you, "what would've been had that have been the case"? Or more accurately what would your feelings of the story be if that had indeed been the scenario that played out? What about other members? Would you have liked it better? Found it simpler to follow than what you was given? Personally I'm curious as to how it'd have played out myself. Ah yes, those old scenes. I remember going through all the old trailers at one point because I'm just conceited enough to think that I could write it better. As a writer I have a love/hate relationship with evil!Terra. On one hand it might have been more interesting as a dynamic to the story. We have Terra, who's actively going down the path of darkness, Ven, a pure hearted boy who would follow him anywhere, and Aqua...she's a girl. On the other, it would have been a retread of Riku's story. They already did the "good guy gone bad" thing and TAV already mimic SRK mire than I'd like. On one hand, Terra would have seemed less like a tool. I don't think it's quote as bad as people make it out to be, but Terra is often made fun of for being an idiot. My problem lies more with the fact, like with most of the others in torment, that they play the victim card way to hard. Like with Xion, Ven, Aqua, and to an extent Roxas, the appeal of his character is that he's a nice person that bad things happened to because Xehanort is just a big meanie face. Despite what they have you believe, Terra didn't make any "real" mistakes. It was all Xehanort, and to an extent, Eraqus. This diminishes the impact of Terra wanting redemption because he didn't DO anything. Not like Riku, who while decided, also knew full well that what he was doing was wrong but didn't care at the time. 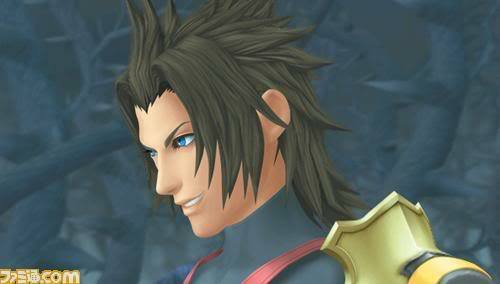 Terra is "Riku lite" without the gumption to pull off that storyline. On the other, it did help to distinguish him from Riku since he was portrayed more as a confused youth who suffered from misguidence because his teacher is a steadfast zealot. I liked were they were going with this, but again, playing the victim card so hard killed it a bit for me. We don't know all the details of what they were originally planning, but I could only imagine that his storyline was going to be more like Riku's, only with less attempted friend murder as even in the early trailers he looked adamant about protecting at least Ven. I'm guessing that perhaps Eraqus and Vanitas were going to have more impact because is it was his master's inability to empathize that spurred Terra into self-esteem issues and even in the currant game, Vanitas was the red herring that he was chasing but they ended up not meeting until the end. It seems as if though they still kept along the same path that was originally going to happen with him just a bit 'lighter' in the final product. From what I gathered it looked as though Terra redeemed himself when he was holding Ven and shouting at Xehanort but we still don't know when that would've taken place I suppose. I loved the grin he had when he was with Maleficent outside the castle, because clearly they knew who each other were at that point and it looked like they had over taken the castle with her thorns, obviously he helped. In the final product Terra only dipped into darkness on multiple occasions, with the worst thing he did would be taking out Eraqus, even then he was protecting his best friend. But in this trailer as to when he was helping Maleficent it seems like a full fall into darkness, only thing that could've added mnore would be if he got the yellow eyes and pointy ears though that would mean some MX possession jutsu. I think It would've been cooler if Terra had done more in the 'evil category' similar to how Riku had a full succumbing to the darkness in KH1, though ASoD had a hand in that, it would've been a nice parallel. Ven seemed to be a bit more mature in this trailer which I wish could've made final product, though I suppose that's why Aqua was there. Even though she wasn't in this trailer aside from what I think is her shadow when Ven is on the DI beach. I couldn't agree more with most of this and it's for that reason and cause that it'd be far more dynamic that I wish they'd have kept 'evil Terra' in favor of what we got. Yes it would've been a retread of Riku but when comparing that with the Terra we got which comes off as a tool and the overly pushed victim card I'd imagine it'd have been more favorable. Terra would've been the example of what happens when one doesn't stop while Riku is the example of redemption. Just imagine the scenario were Terra is goaded into darkness by MX and other disney villains and like Riku he's very willing but the big twist is that, at the end, when MX's plan has struck down Eraqus along with Aqua & Ven learning of the things Terra has done he turns on MX striking him down with Aqua and Ven defeating Vanitas & the xblade at the cost of Ventus himself. Skip ahead to the terranort battle except it's just Terra, with Ventus and Eraqus gone and Terra already head long in the dark. Terra & Aqua have on last brief exchange were Aqua tearfully rejects Terra and what he's become, fight ensues, in a last ditch effort Terra pulls them into darkness, Aqua deals a devastating blow but falls into the dark realm while Terra manages to make his way back to Radiant garden and collapses. He's found by Ansem the Wise, disoriented, mutters Xehanort's name and just goes with it till he decides to steal Ansem's name and becomes a heartless/nobody. All the while deciding to adopt MX's plan as his own in a misguided goal of seeking power and thinking he can create a world were he can be with Eraqus, Ven and Aqua again and all that other depressive jazz. Haha, I can't say I've ever seen that trailer before. Nomura: Hmmm. Hey, guys! I can't seem to find those awesome scraps of plot we had! Any idea where I put them? Peon #2: Sure don't, Mr. Nomura! And where the hell was Fate of the Unknown in the game of BBS? What a mistake! While I love the idea of Terra being evil, I can't say I really like him being too evil or, as you worded well, the victrim card. I mean, if he was all evil as is kind of being hinted at with his smirk at Maleficent ruining Enchanted Dominion, it just seems odd that he would still protect his friends (especially Aqua) when clearly Aqua would not accept him being so evil. It seems kind of wishy washy to me because in that trailer, some of the scene he came off quite evil and then others the beacon of justice, it sounds like odd character development. That being said, I agree that where he ended up, all good, while it makes sense from a perspective of the entire series as a whole, his character seems like he was just falling from one trap into another. I quite like the idea of that, especially since Terra passing his keyblade down to Riku would have been nice. The one thing I would have liked though IF he did that, was that he cut his connection with Ven and Aqua. I mean, they could still actively try and save him from the darkness, but him being nice back to them just seems odd if he wants something completely different from what they want. Although the one thing I will mention though is that if Terra was more evil, I can't really see the dynamic between TAV working as much (and I can't say it really worked all that well anyways, but far less than it did). I mean, we would have ended up with an evil mastermind (who had to have at least been thinking about evil before BbS began), an immature teen (if Ven ended up how he did), and a mature girl who is all good and is almost like a master. That trio just sounds like the most crazy combination you could think of since it sounds like those cliche movies where the most odd combination are friends but it would never work out in real life (like the bully, the nerd, and the teacher or something). That's just one scenario off the top of my head. ^3^ There's actually several ways you could go about it when you sit and think on it. To be fair I think how their trio would've worked out would depend on how it was done not how they characters ended up themselves. Cause, as mentioned, they already aren't the greatest. Like for instance that dynamic between TAV could've been the same as what we got at the start with Terra slowly changing as his story goes as he gets more isolated and goaded by MX and various disney villains. Have you noticed, during MX-Ven dialogue in Olympus Coliseum, that MX summon the same darkness powered orb in his hand that he use to call Kingdom Hearts in Keyblade Graveyard? ^ Yeah I seen that after rewatching it again. Wonder if that was gonna be an actual thing in the planning stages. Well, that's not really a theory, persay. It's in the actual games. When the X-Blade was being fought over, it split into 20 pieces/shards (if you will). In order to reforge it, 7 Lights and 13 Darknesses must fight. Xehanort was mistaken in BbS when he originally split Vanitas from Ven (my autocorrect wants Vanitas to be Fajitas X'D). He thought it was just pure Light and pure Darkness at first. He sure wised up fast! ^ I think he's saying the orb in the trailer used to have a theory saying it's one of the X-blades long lost shards.